Racist, full of hate and scared. 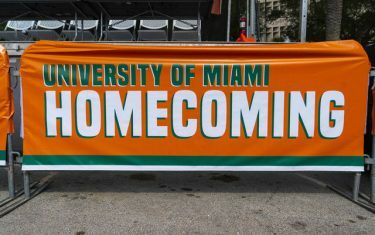 These are all words author, Frank Meeink, used to describe himself throughout his presentation to members of the University of Miami community as he detailed his journey from a skinhead to a human full of empathy. A self-described Neo-Nazi skinhead, also known as a member of a group whose core beliefs stem from the idea that the white race is superior than others, Meeink spent years of his life spewing hateful speech and erupting in violence against non-whites. 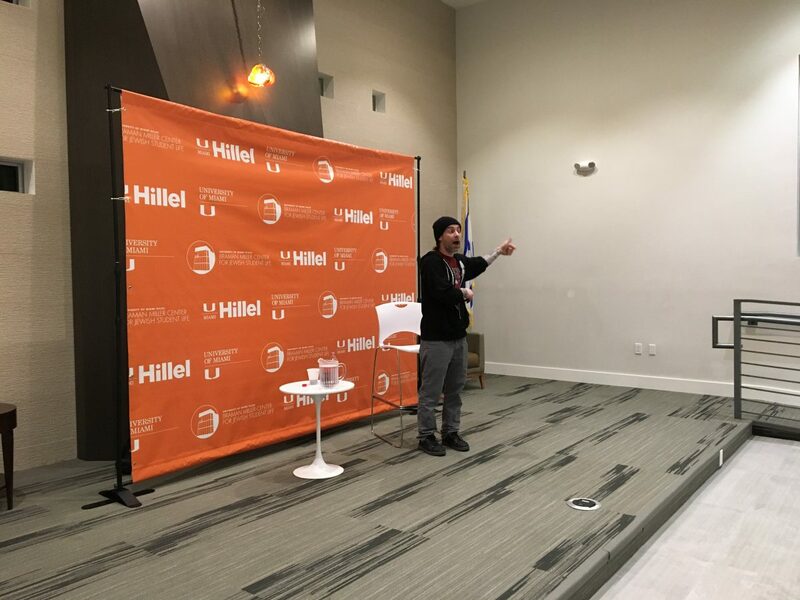 Throughout the two hour presentation at UM’s Braman Miller Student Center for Jewish Life, he described his days full of brutality against others. Some of those days included walking into a public gatherings full of minority groups with other Neo-Nazi skinheads and “beat the sh-t out of them.” He said the feeling of doing so made him feel a power that was appealing, one he never had before. Born and raised in the South of Philadelphia to a drug addicted mother and dealing father, Meeink’s introduction to violence began at a young age. He said his stepfather, a man with prejudice against Italians, beat him every day for years in an attempt to beat the Italian out of Meeink. Feeling unwanted at home, at 13, Meeink moved out and was introduced to the Neo-Nazi movement through his cousin. A movement that Meeink said made him feel like he belonged and had a purpose. It was then that Meeink embarked on a years-long venture into a world where he hated anyone different than him, including Jews. Though there was a point in Meeink’s life where he brought harm to the very same people that worship in the center he spoke in, UM Hillel President Seth Manilove said Meeink’s story is one college students should hear, how it’s never too late to make a change for the better. Manilove said Meeink has been on UM Hillel’s radar for a while because Meeink’s story of redemption is one that resonates with the organization’s message and beliefs. Meeink spent years committing crimes against others and was eventually sent to prison at 17. In prison, he was exposed to people from all different backgrounds including those from black, latino and LGBT community. In the process, Meeink’s prejudice against those communities began to diminish. Upon being released from prison, he began to work for a Jewish man who owned a furniture store. Similar to what happened in prison, Meeink began to grow fond of his boss and realized his wrongs and left the movement. In 1995, Timothy McVeigh and Terry Nichols set off a truck full of explosives outside of a U.S. Federal building in Oklahoma City. The bomb killed 168 people and injured over 600 others. At the time, it was the worst terrorist attack on United States soil. After seeing the impact of the attacks Meeink vowed to stop the spread of hate and decided to dedicate his life to increasing the spread of humility and empathy instead. For Angela Cameron, a senior, listening to Meeink’s storytelling of his childhood and adolescence gave her a sense of understanding where and why hate begins. “He was a lost child. He was just looking for acceptance and he found acceptance in this very unfortunate group,” Cameron said. She said throughout the presentation she was surprised at how much “heart” his story had and said she learned a valuable lesson as a result. “It’s never too late to change who you are. You can always start over,” she said.